March 31, 2017 2:15 pm. The Group 1 Sires’ Produce Stakes is a set weight race for two-year-olds, held at Randwick Racecourse. The 1400m feature has a prize pool of $1,000,000 and is the second leg of the Sydney two-year-old Triple Crown – following the Golden Slipper and the final leg, the Champagne Stakes. The last horse to have won the triple crown was Pierro in 2012, when the champion two year old became just the fourth colt in history to manage the feat. With many horses and trainers fancying their chances of winning all three of the two year old races, often the Sires Produce Stakes field has a distinct Golden Slipper taste to it. Loving Gaby is the $6 favourite with online bookmaker Neds ahead of a hotly contested Sires’ Produce Stakes. Castelvecchio ($6.50) is on the second line of betting while Bellevue Hill and Microphone ($7) are the only other runners in single figures. It’s not hard to find a good bookie to punt on the Championships with many of the best having promotions – cash back offers, odds boosts and more – on offer for punters from all states. Click on any of the banners below to read our bookmaker reviews. After finishing inside the placings in the Golden Slipper behind stablemate Kiamichi, Microphone was heavily favoured in the Sires’ market, and backers were rewarded for their persistence. The Slipper winner again made the pace to lead early and looked good in the straight but it was Microphone that steamrolled up its inside to claim the win ahead of the fast finishing Loving Gaby, which got held up earlier in the straight. 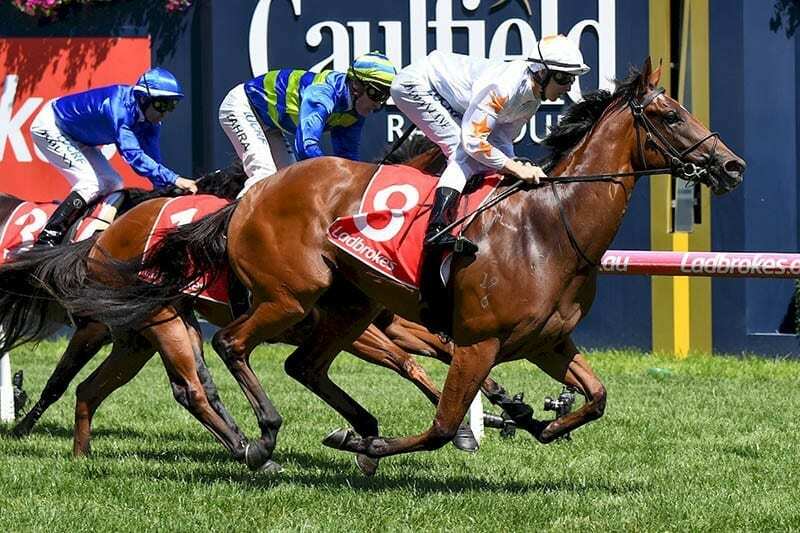 It was meant to be the coming out party for maiden runner Oohood, which had placed previously in the Blue Diamond Stakes and Golden Slipper, but El Dorado Dreaming again relegated the Tony McEvoy runner to a Group 1 placing. Storming home from the back of the field, the despised outsider launched down the middle of the track to upset Oohood, which found clear air a little too late. Read the race report. Invader caused a minor upset at odds of $8 to win the 2017 Sires Produce Stakes. The Peter and Paul Snowden-trained juvenile defied a track bias by coming centre track after most winners earlier in the day were camped on the rail. The decision to miss the Golden Slipper proved the right decision for Invader’s connections. Read the race report. Yankee Rose gave trainer David Vandyke his first group 1 victory. Ridden by Zac Purton, who settled the horse around midfield, went wide on the straight before joining the leaders at the 300m mark. It then hit the lead at the 200m mark to pay homage to its favourites price of $3.80. Telperion ($4) and Faraway Town ($51) rounded out the minor placings. Pride Of Dubai missed the Golden Slipper, before claiming the Sires Produce. Having previously won the Blue Diamond Stakes, Pride of Dubai had form on its side and a great jockey with Hugh Bowman producing a masterful display. With five horses still in the mix at the 200m mark, Pride Of Dubai eventually beat home Odyssey Moon and Rageese. Gerald Ryan’s Peggy Jean didn’t compete in the Golden Slipper, and was primed for the Sires’ Produce. Peggy Jean beat home Scratch Me Lucky and Cornrow to claim the million dollar purse. Peggy Jean was ridden by Nash Rawiller. Ryan, who had three other runners in the race, also had the favourite Believe Yourself but it struggled in the heavy conditions and finished well back. Guelph upset pre-race favourite Overreach, who had won the Golden Slipper the week before. But on-course money, which had seen Guelph backed from $12 into $9.50 proved to be correct. Guelph, which finished fourth in the Slipper, clearly enjoyed the extra distance of the Sires Produce. Pierro won the second leg of the Sydney Triple Crown in convincing style, before going on to complete it in the Champagne Stakes. It was another huge victory for Gai Waterhouse in the race, remarkably she has won it seven times since the year 2000. Nash Rawiller guided Pierro to the win over Black Caviar’s half brother All Too Hard and Limes.